Planning on visiting Disney World in Florida with your little ones? It’s bound to be a memorable and magical experience for the entire family. Don’t worry about your preschoolers because there are plenty of rides here to suit their age and keep them happy but safe. Adults love the Toy Story movies. The kids are absolutely crazy about them! Your child is surely fascinated with Buzz Lightyear too! Allow them to get right into the middle of the action as if they’re part of the actual movie. 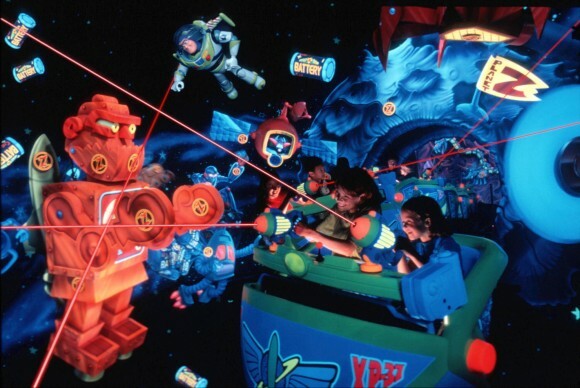 In this slow, spinning ride, they can use their fire lasers to help Buzz beat his adversary Zurg in an exciting space battle. Ignite the imagination of your preschoolers as they board a delightful pirate ship with Peter Pan on the way to Never Land. This is one thrilling ride with a few small drops that will certainly captivate any small child’s heart without giving you any reason to worry. With kids’ naturally adventurous streak, they will surely love exploring the hundred-acre woods where Winnie the Pooh engages in exhilarating escapades with his friends. Aboard a gigantic Hunny Pot, preschoolers will delight in the visually stimulating surroundings and the experience of moving swiftly across the vast fields. In Disney World, preschoolers will certainly scream with glee and jump with joy when they meet actual animals that they’ve only seen in books. Although these are not real, they look amazingly genuine especially in an African savannah setting. Jump onto the open-air vehicle with your kids for the jungle journey that will educate them in a fun, unconventional way. If your young children are not afraid of the dark and of loud sounds and seem to be inherent adventure-seekers, they’ll most likely enjoy this ride with you. It’s a swaggering voyage to a deep-rooted era in the past when pirates governed the seas. There’ll be plenty of water splashing along with some thunderous sounds that will make you feel as if you’re also travelling with pirates in the middle of an ocean. It’s going to be a spectacular and enthralling day for your little ones as well as the perfect opportunity for the family to bond. Why don’t you reserve your Disney World Florida Tickets now for that wonderful, once-in-a-lifetime experience? Let your inner child have loads of fun as your preschoolers indulge too in the great exuberance of this famous theme park. ← Is it Safe to Buy Prescriptions When You’re Out of Town? © 2019 Travelojos. All Rights Reserved.